"I can’t begin to say enough about Marc Mingoia. When I first met Marc, I was very impressed on how kind and genuine he seemed to be. I immediately thought he would be the perfect person to assist my mother with selling her home. My first impressions of Marc were spot on. Marc walked my mother through the home sale process step by step and kept her informed throughout. He went above and beyond to help her with things you would not expect from just any realtor. From hauling some heavy items from her garage and talking her through what was a very emotional process of selling her beloved home, Marc was there for her. Marc is very compassionate and knowledgeable. I plan on recommending him to anyone who is looking for dependable, honest, and hard working realtor. My mother’s home sold in just a few days and everything was seamless from the day it was listed to the closing. Marc is truly one of a kind…..they broke the mold with him!" "Marc is incredible! He was extremely patient and responsive. Whenever I had a question, night or day, he was there with an answer. And when we did find the perfect house, he did an amazing job of helping me beat out the competition! No one will work harder for you or make your house search a more pleasant experience. 10/10!" "Working with Marc Mingoia was nothing short of amazing. We relocated our family from out of state, so it was essential for us to have someone attentive to our needs and most importantly, someone we could trust. Marc is incredibly knowledgeable about real estate, but he was also well researched on every single property we looked at. He was there morning, noon, night, and weekends to answer any questions we had, and help us talk through each property we saw. He was unwilling to let us compromise on what was important to us, and refused to let us overpay. Marc was determined to find us our dream home and he did! And at a great price! Marc Mingoia = simply the best!" "Lori captured my sentiments quite well but for me what stood out was his honesty, integrity, his likable nature & engaging personality. We felt very comfortable with him right from the start and had complete trust in him. Couple this with his attentiveness & proactive approach (contacting people in neighborhoods we liked to see if they'd be selling their house in the coming months), and he made us feel like our home search was his #1 priority." Picture I received when the Murray's found out they have their dream home! Warms my heart. And this is why I love my job! Just amazing, Marc is extremely genuine person and very supportive, Marc was involved with every details since day one, very friendly and approachable. My mortgage representative didn’t attend the closing but Marc was there to support us, that speak a lot about him, he even drove to the house with us after closing to check on the final details, he even followed up the week after to check if we need anything and to make sure builder is cooperating with our final demands, He truly made the purchase way smooth and easy. Thank you Marc. Marc is one of the hardest working people I know. He told me that he would be able to sell my house in a short time, and although I was dubious, he did it!!! I felt he worked solely for me and got me the best price and deal that anyone could. I never felt that he was pressuring me to sell at a lower price so that he could just make a sale and thoroughly advised me when dealing with offers. His enthusiasm is unmatched. I don't believe I could ever find a better realtor in Rochester or anywhere else. He is professional, but pleasant and really fun to work with. I cannot give anyone a better recommendation than that I want to give to Marc. Hire him and you will get your house sold!!!! "Marc is an attentive and detailed professional. He was focused on our needs as a client and successfully sold our home within days!" "We enjoyed working with Marc for so many reasons. He is a true professional in every way. Marc always returns and responds to telephone calls promptly. He provides information when requested and always shows up on time. We would recommend Marc to family and friends." "Marc is truly raising the standard for the entire real estate industry with his customer forward practices and innovative methods. He beyond exceeded my expectations when selling my house and I continue to refer him to friends and family members looking for an agent. He is genuine, honest, incredibly knowledgeable and full of integrity. I very much look forward to working with him again in the future." It was a joy working with Marc Mingoia. He made the home buying and selling experience truly enjoyable. We bought a new home and sold our old home with Marc. He is the quintessential real estate agent; he is a professional; he is very personable, dedicated, passionate, dependable, knowledgeable, goal-oriented, patient, and most of all a pleasure to work with. We met Marc by chance at a home showing while we were in the process of deciding whether to buy or build. From that day forward he became like a family member to us. He was always there when we needed him. He always showed up ahead of schedule; he was always well prepared, and ready to assist us with any decision or task at hand. 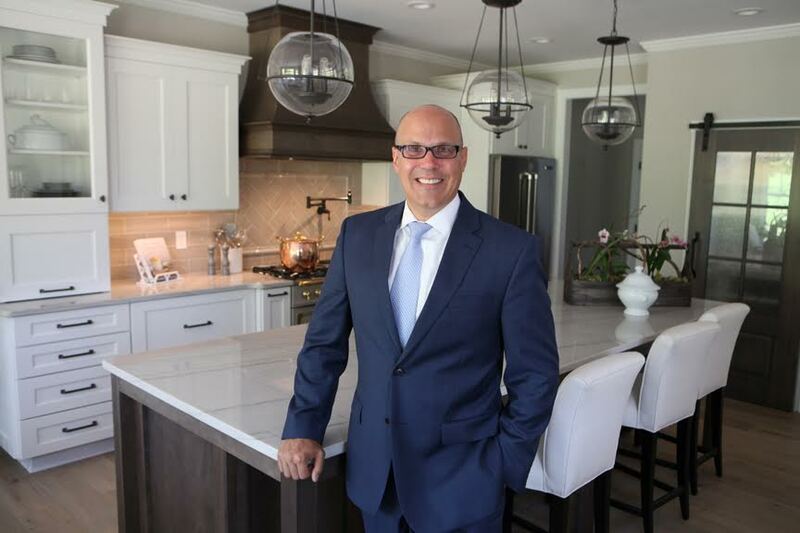 He always asked for our opinion and input before giving us his expert advice, which was always guided by wisdom born out of his profound knowledge of the real estate market and his passion for client satisfaction. My wife and I were surprised when we found out that we were not Marc’s only clients; surprised because he was always available to us whenever we needed him, most often in person, and we just did not see how it was possible for him to have time for anything else. Our questions, preferences and concerns were treated with his utmost respect and urgency. We were fortunate to have Marc. His patience and dedication to excel for his client was exemplary. We saw at least 15 houses with Marc. He showed up for every encounter and always ahead of schedule. He never hesitated his presence for a 2nd, a 3rd, a 4th visit to the same property. Before we arrived to evaluate a prospective house, Marc had already been there minutes beforehand inspecting the property and had available for us a summary of the property and everything we needed to know about it. His dedication for his clients went above and beyond. Few weeks after our purchase, Marc called to remind us not to forget about a visit to our town assessor to remind us to have our assessment lowered. His guidance and advice were invaluable. We felt confident with the process of negotiating our final purchase which proceeded smoothly. He advised us on ways to present and offer the home we sold. Impressively, Marc sold our house within 24 hours of listing it. But we were not surprised because we had become accustomed to his high level of expertise in real estate business. His calm confidence was always reassuring and he always delivered on his promises and words. Marc has an excellent pool of resources he draws from; from superb builders and interior designers to mortgage brokers. As clients he made these experts available to us. None of our questions went unanswered. We received prompt feedbacks and answers to all our questions. The home buying and selling experience was a joy because we had Marc. Seth and Sarah Mensah. Marc is the best person in the business. He makes you feel like your his only client. He stays on top of everything and makes the process as smooth as possible. Whether you're thinking about beginning your search for a new home, listing your house or just have a question, feel free to contact me.